Q. What is the cost of binding? 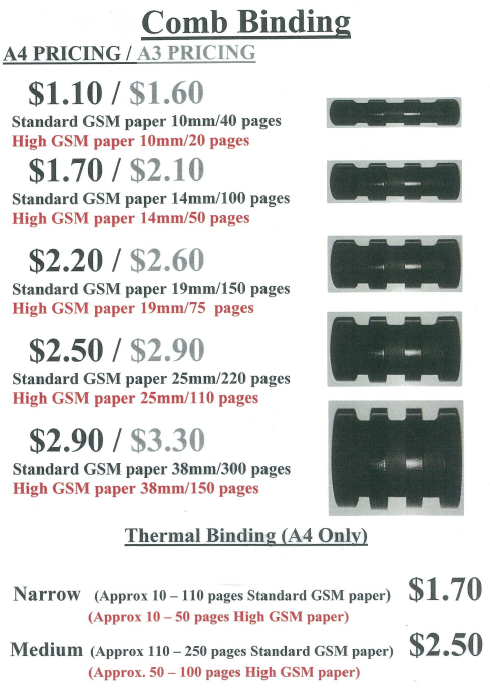 The cost for binding depends on the number of pages you would like to bind. The costs above include the cost for materials. You will need to bring a bank card with you as the Library does not handle cash. Payment is made at the EPay kiosk which will issue a receipt. Please take the receipt to the desk and staff will give you the binding material. There are also instructions at the binding machines on how to bind your document.